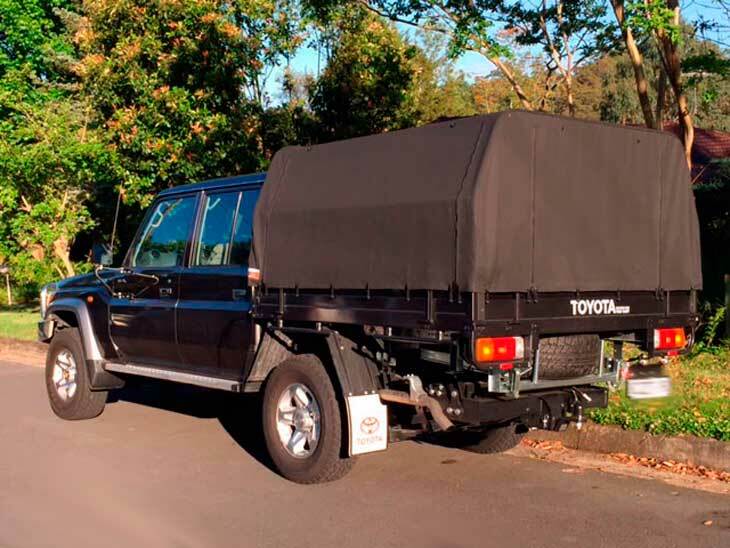 Wallaby Track Canvas specializes in manufacturing frames and canvas canopies for tray back utes. 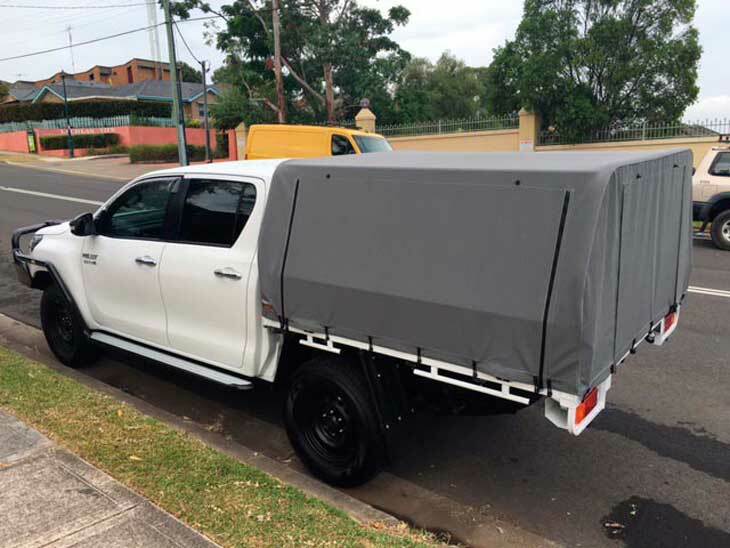 We offer frame and canvas ute canopy packages for most current models utes and trays. 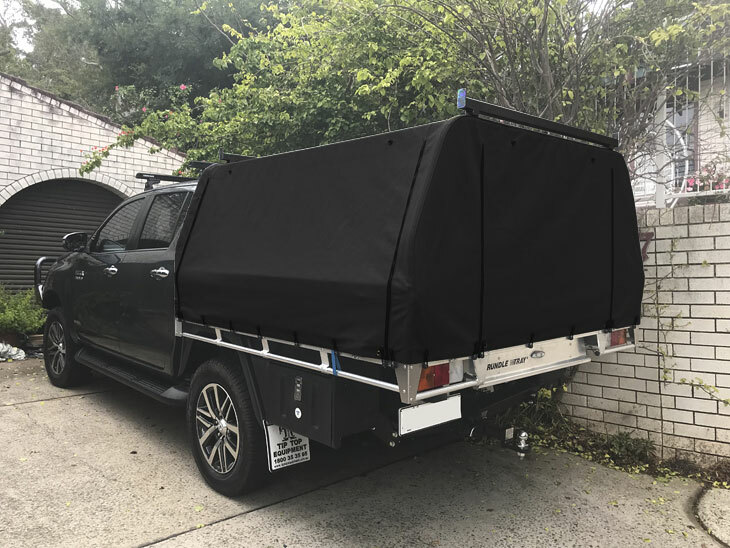 These canvas ute canopy kits incorporate the best design, following the shape of the headboard to reduce wind resistance and have a modern tapered look. 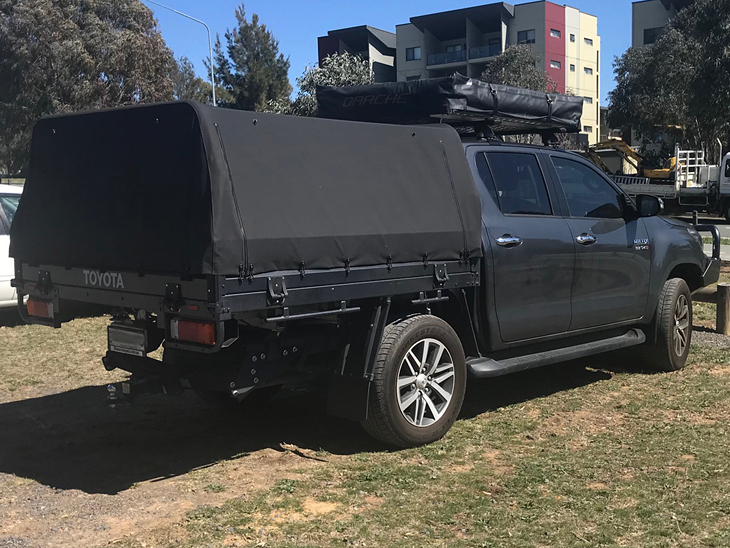 Wallaby Track can fit the kit in our workshop in Springwood NSW or if you are not within driving distance it can be sent out for you to fit. We can also send the kits anywhere in Australia, this includes the major cities Melbourne, Brisbane, Cairns, Darwin, Perth, Adelaide and Hobart, along with all the towns in between! If your tray is listed below we will not require your ute to make the kit. 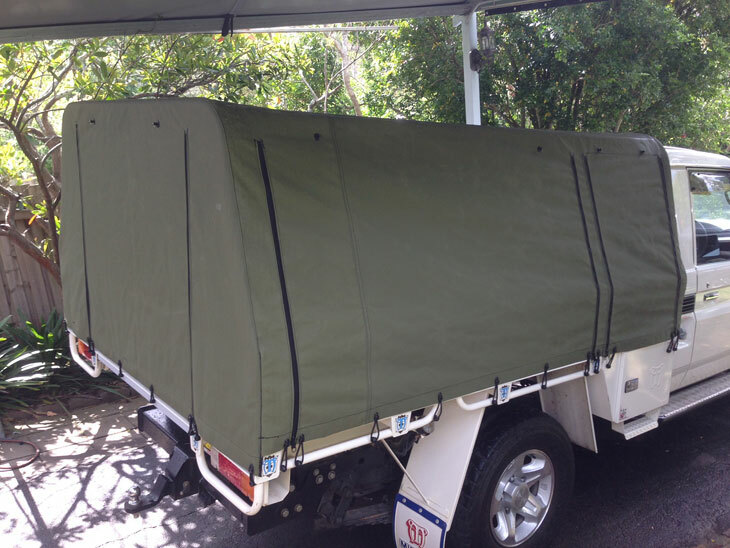 All canvas ute canopy kits are 100% Australian made. They have been designed, tested, manufactured & used by Wallaby Track for many years. 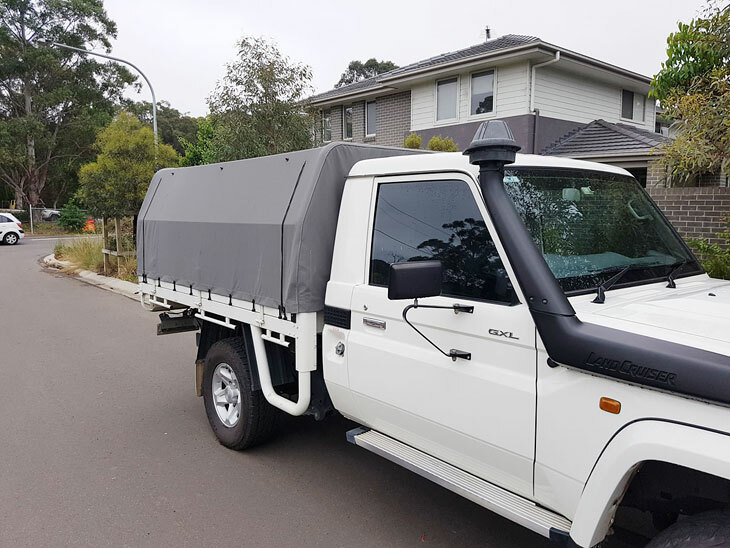 You can be reassured every canvas ute canopy kit will fit exactly as if we had your ute in front of us, be made to the highest standard & using only Wax Converters canvas. 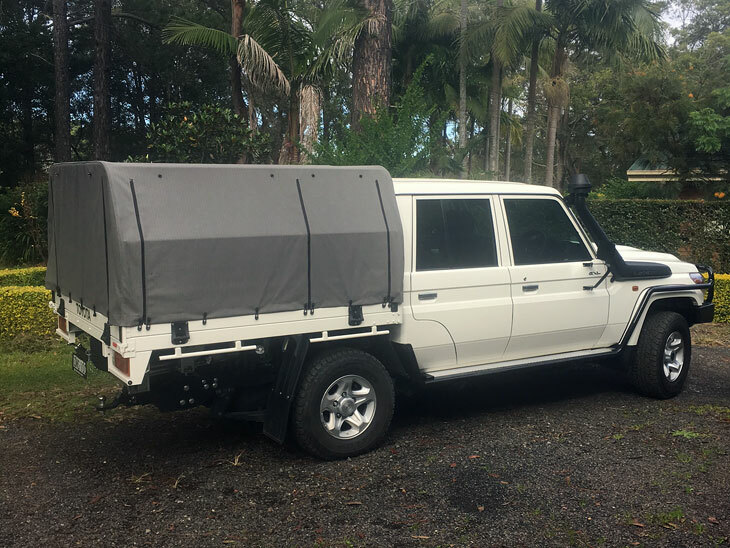 Wallaby Track also has canvas ute canopy kits if you have an existing ladder bar on the trays listed below. 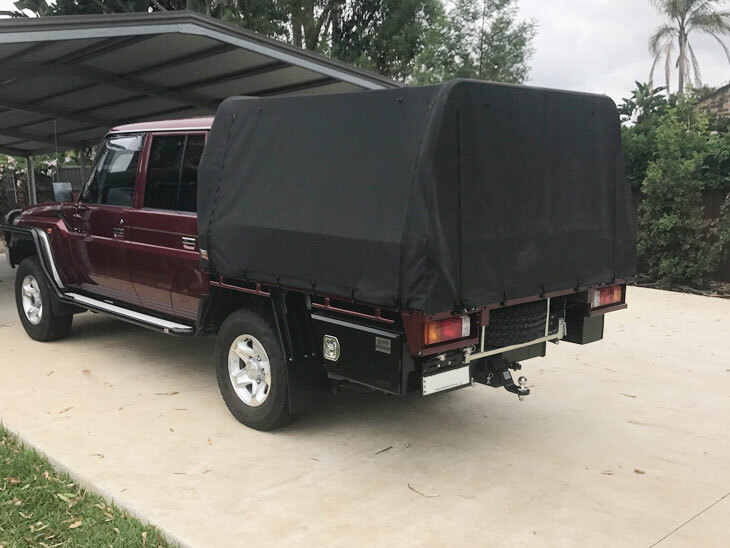 If your tray is not listed below we can still manufacture a custom frames and canvas canopies for your ute as well. 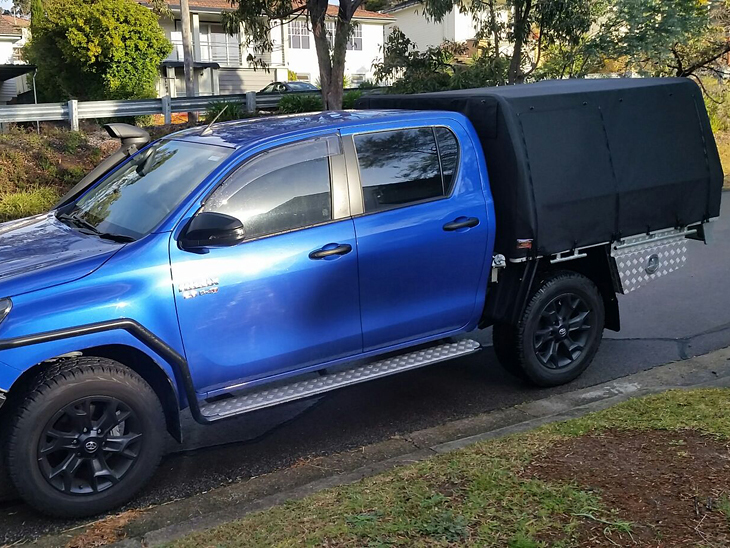 We will need your ute for a measure up and fit out. All work is done in our workshop in Springwood using only Australian made canvas and all our frames are made in Australia from either aluminium or galvanized steel. The frames are made so they can be removed quickly and easily and store flat. Wallaby Track Canvas operates from Springwood in the Blue Mountains. However if you are looking to get the canopy fitted we don’t usually require the ute for a measure up. So its just one trip for the fit out. We are within a couple of hours drive from Wollongong, Newcastle, Manly and Bathurst and pretty much all suburbs in between! Just give us a call or send an email for an idea on price on the job you require.